Tinker House is 1 and birthday presents! Where you love to do it! It has been one year since we completed the construction of our little backyard folly! And I have enjoyed this little house more than any thing we have ever built! Which in a way, it always has since so much of what we built it from came from the house renovation! And due North to the Potager! And in the late afternoon sun! The back side and the cottage in the distance. Tinker House is so small but ever so quaint! I love how versatile it has been and how much I actually use it! I am out here everyday! I think everyone needs such a place...A place to dream and to Create! To one of you who came to the party! Let me just say...This book has been life changing for me! I will let you know in a day or two who won! Since I just sprang this give-away on you...chances of winning are quite good! Thank you for stopping by and helping me celebrate! I am also linking this post to the always fabulous Kathleen at Faded Charm for White Wednesday! Happy Birthday Tinker!!! Donna, I just LOVE this little place of yours. And yes, I wish we all had a Tinker house. The inside is adorable! And thanks for the birthday gift! I love your little Tinker House it is heavenly! I have to tell you though I would probably break my neck trying to get up into that fabulous little nook...but oh what a way to spend the day!!! Happy First Birthday Tinker. You are the most adorable tiny little playhouse I know. I would adore having one for myself. Donna you have truly made Tinker magical. Happy Birthday Tinker...you share it with my grandson..I know you will I just get better with age! HOLY COW!! i am soooo happy i found you through Z @ oldgreymare...because i abso=tootly love your "tinker". i would love to have a little glass house in my yard (although, living on a golg course, i would be taking my chances of broken windows). would it be o.k to share "tinker" on my pinterest board? p.s i adore sweet autumn clematis for it's late summer blooms of tiny white flowers...ours should be blooming in a couple of weeks. Happy Birthday to Tinker House (who doesn't look a day older)! I'm so in love with this cozy space you have made. Thanks for the chance to win a goodie bag! Oh Tinker, you make my heart sing...and you shelter Donna with such love. I would love this book, I know it has meant so much to you. I just love Tinker House !! I need one just like it. I am a new follower. Your beautiful tinker is certainly what dreams are made of. I am sure you have had a wonderful year of tinker love! I can't imagine how much you love this building because everytime I see photos of it I can imagine myself in it as well:-) Such an inpirational building. Enjoy and I'd love to be put into the hat for your giveaway! Tinker House is one'derful! It is such a sweet spot to play, dream and plan. It is appropriately named.... you will forever and a day tinker with the little treasures that are housed within the walls. I want a Tinker House! You have truly made it your own. I think that is the key as to why you use and enjoy it daily. Congrats! Thanks for sharing such a generous giveaway. It still takes my breath away to see it...so beautiful and getting better all the time with the plants around it. Oh, I love your little Tinker House & all of the lovelies you have tucked into and around it. I have a rusty old gazebo that is now covered in sweet autumn clematis & I can't wait for it to bloom! You will love Tinker when it is surrounded with the white blossoms & sweet aroma! Thanks for featuring it again! I love Tinker! I want one in my backyard:) So glad you enjoy it every day. I love your little tinker house. It is such a special place and I'm sure that you do love it so. Happy b-day tinker! I would love a chance to win your book. Thanks. Oh Donna...........i realy love you'r Tinkerhouse. It's so beautiful and i belief you when you say that you'r outhere every day......who would'nt if he had such a beautiful place in his backyard. I sure would! Wich i had enough place to buld me a Pinker to! Hope you can enjoy it for many more years to come! Happy Happy Birthday to Tinker! What an amazing place you have to dream and create! Thank you for the chance to win such a lovely gift! I must say Tinker House is the reason I put you on my bloglist. I remember stumbling across your blog some while ago when you were featuring her..She is fabulous! You do have an incredible blog as well. Tinker House is my favorite! I read every post on your blog, but the ones about Tinker are the ones I like best! Happy Birthday to your little folly, and thanks for the chance to have presents! Here's to another fabulous year! Happy happy birthday to my favorite little inspirational house. I sure hope to have one built something like you, but probably not as nice as you in the next year. Dreaming! tinker house is every girl's dream! lovely giveaway! You lucky gal-Tinker House is wonderful! So nice of you to share a party with the rest of us! Oh Donna! I'll never forget the day I just happened onto your blog and seen the Tinker House for the first time! I gasp! I love, love, love that little house! I would be happy to celebrate with you! Thanks for inviting us! Happy Birthday Tinker! I'm already a follower. Happy Birthday Tinker!! Your pictures capture her beauty amazingly! I'm a follower and love everything you share. Donna - I have watched here as Tinker's personality bloomed. I have added so many photos of her to my Home file and my huggy one is assembling recycled parts to assemble our own version of her in a space at our house. I JUST looked at that exact book online and decided it is a must have, but haven't ordered it yet. Keeping my fingers crossed...triple crossed. ha! How truly wonderful it is, to have a special place to call your own. To do with, whatever you desire. A magical little place just steps away. What a blessing! I too have a magic little getaway, what a great idea to have a birthday party, mine will be 1 year old in October. TOT introduced me to your lil' tinker house and I've been watchin' ya ever since...have fun! Happy Birthday to Tinker House! It looks so charming and inviting. I love your grandpa's ladder on the side. You've done a fantastic job on your getaway. I really need a Tinker house. I absolutely love this little house. I can so see this in my yard, that is when we build our house. We'll be leaving the city behind next June back to the hill country. I cannot wait. You and Tinker inspire me. Happy Birthday and have a great day. Happy Birthday Tinker! Great Party! Oh how I want a Tinker too! I am new to your blog, and let me tell you, it was love at first sight the moment I saw Tinker!Love everything you have done. Enjoy this special day! Tinker just gets cuter with age. Happy Birthday! I loved seeing more of it and your photos are beautiful! Are you catching up yet? I know you have been busy, busy, busy, but I am so glad you were able to take some time to enjoy Tinker! 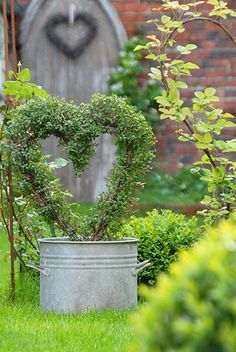 I love your Tinker House and agree it is lovely to have your own little getaway right in your own garden. I love your pillows too. I have always wanted a Folly...Actually I do "virtually" have one now, thanks to you and Tinker! I recently became a grandmother to sweet baby girl, Holland Grace. We have our daughter Chrislyn's old dollhouse out in the garage. I am inspired to turn it into a "Tiny Tinker House" for Holland's first birthday next June! With your permission, I would frame a tiny photo of the REAL tinker to hang on the wall in the living room! Happy Birthday to you and your folly dream come true! Happy Birthday tinker! Tinker is so beautiful! I think you are right, everyone should have a tinker house! 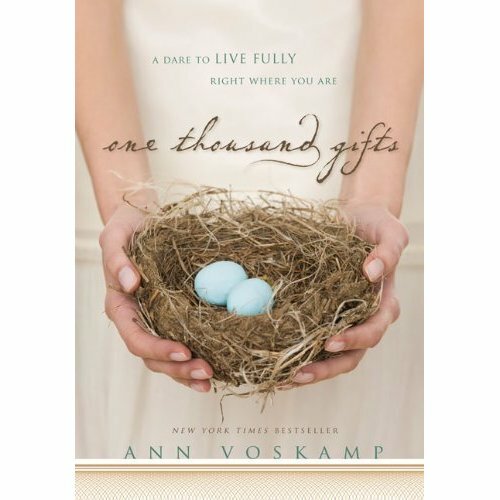 I have been thinking about the Book 1000 Gifts. Do you think it is a really good one? I am going to make a Gratitude Journal. Maybe it would give me a good place to start. My special word for 2011 is GRATITUDE. I get your posts by email, is that the same as a follower? I love, love, love it!!! Wish I had one! I love Tinker House - what a wonderful escape. HAPPY BIRTHDAY TINKER HOUSE....it is so lovely and you must be very proud. I would love to hang out in it everyday. Count me in on the book giveaway. It looks wonderful. Tinker House is beautiful! I'd love a little place like that to do my artwork. Your photos are lovely! I received my package today, thank you so much! it was so nicely packaged snd cute! i love the tinker house! My dream is to have a space like that one day! I love your tour and want to sneak up there to relax and read. It looks like a fantasy life! You can count me in on the giveaway. I love your Tinker House! What a great place to read, relax, and create. I have been wanting a little place like that. Happy Birthday Tinker! Some day I hope to have something similar to you - you're wonderful! happy birthday tinker. just found you through miss gracie. your house is darling, darling cute. I see your house on pinterest and I see your blog for the first time : I love it. If you are agree, Can I present it on mine on "a sunday a blog" the 28 of august. i'm very happy to meet you. Now... I'm climbing up in that loft for a fun nap. Happy Birthday- I love your little house...I've Pin it on pinterest. I can see why you love spending time there it's so beautiful! This is my first time linking up to Cottage Floral Thursday, so glad to find your blog. I'm heading off to check out some more of your beautiful blog! Happy Birthday to a sweet little house. It is lovely as can be and such a wonderful place to go relax and think about things. We are working on a little space ourselves and your Tinker House is an inspiration to me. I have heard about this wonderful book, but haven't bought it yet. It would be neat to be the winner. The Tinker is adorable! Happy birthday. Thank for this giveaway. I read a lot of books and this one seems amazing. Happy Birthday! That is one of the sweetest little places. I can only imagine all the uses for that little house. Oh what a magical little house...Love your reading nook, perfect for daydreaming. Love that you re-purposed all of those windows and doors!! What an inspiration to create "Tinker House" where dreams are made, you must be so proud! I love your Tinker House - Happy Birthday! It is beautiful, and quirky and charming all at the same time and it's no wonder you want to be in it every day - I am not sure I would want to leave! I've not seen that book but it looks like something very special. Books can indeed change lives. How I wish I could come visit you and Tinker but since I can't seeing your photos is the next best thing. What a wonderful get away! I think you are right Donna, everyone needs a place just like that... you have made it so cozy and really pretty amazing. I love the loft, LOVE IT! I can't believe it's a door! You have created a grown-up play house. love it! Happy Birthday to your sweet little cottage! I think that you and your husband did a marvelous job in creating such a wonderful space. I love to visit your blog and would love to be entered in your lovely giveaway. I absolutely LOVE your blog. It is so unique and is full of everything that I love. Thank you so much for coming over to see me. I am overwhelmed at Suzan's kindness in doing a post about my pretty insignificant blog ! !I just know what I love and, if others like it too, well all well and good. .....oh, and I have the same picture that your friend Sandi sent you. Mine is exactly the same but in a sage green..... another sign that I love what you love !! 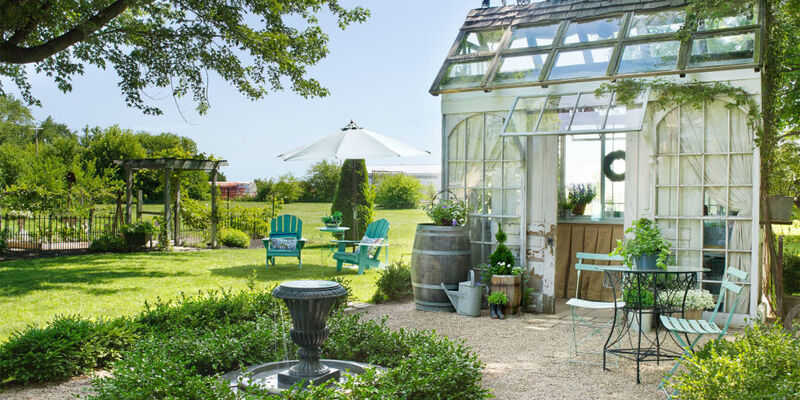 I am a new reader and found Tinker house while searching the web for how to make greenhouses out of reclaimed windows. I have fallen in love with your little greenhouse and I can't wait to make my own version in the spring. Your blog is just beautiful!